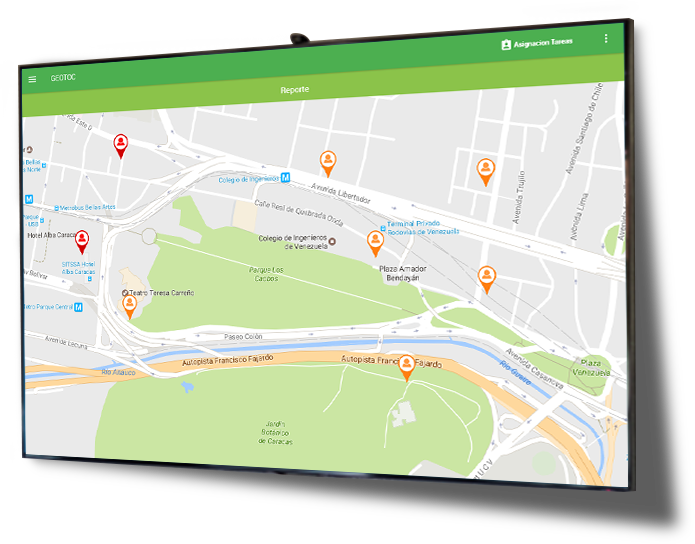 FONAX Geo Control Center – is a Situational Room Solution, where the relevant information about the topics for which the application is configured, is received and handled. 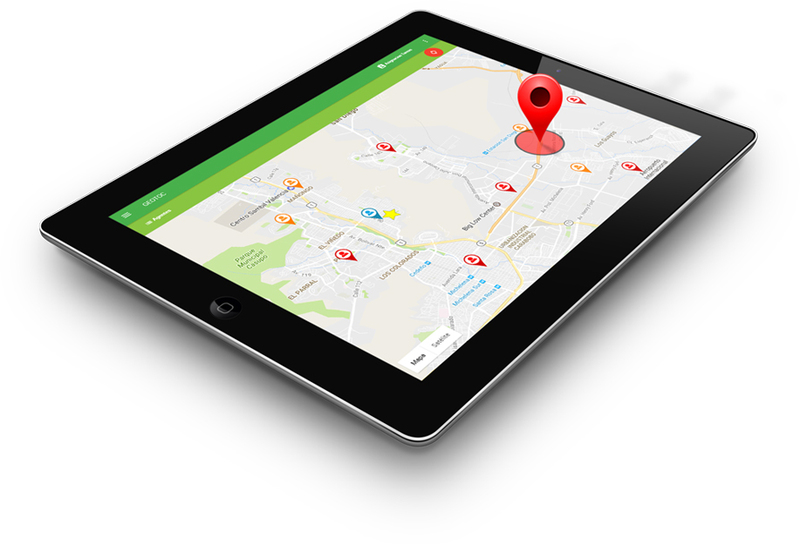 The main objective is to obtain all the desired information in real time, and to visualize it in the maps displayed, as well as, in the different graphics that are being fed information at all time by Authorized Geo Mobile Agents Located , Authorized Control Points or by any other important information or Variable of Control. 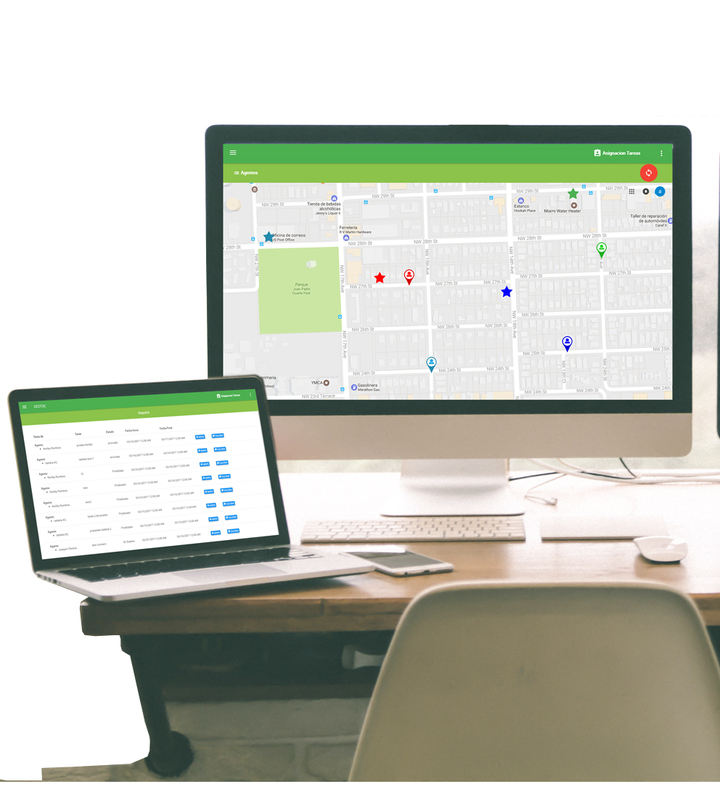 Receive alerts and see everything in a Control Room, a PC, Tablet or even in your Cellular Phone. 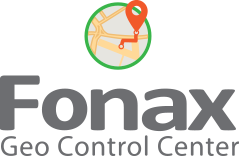 Fonax Control Center can be adapted to customer needs. It can be customized AD HOC for any kind of industry or purpose. Each task is formatted as a form. These forms can be created by the administrator and include the necessary fields that allow you to fulfill different types of tasks, Such as: Control of a Maintenaince Team in Field, Collection of Information, Control of Industrial and Processes Tasks, Surveys, acknowledgment of receipt, Receipt and Delivery of Parts and Products, Service Tickets Control, Industrial Services Control, etc. 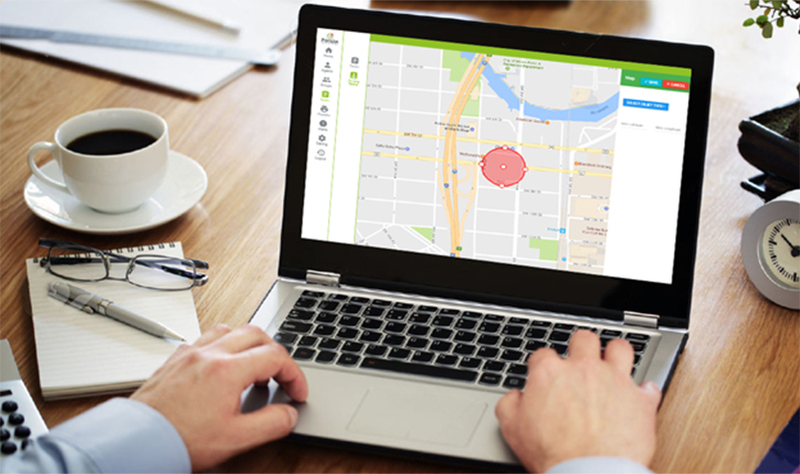 The location of each agent or group of agents and the status of the tasks of each agent can be visualized / monitored in real time from an interactive map. Statistical information can also be obtained, such as how long an agent was in a given zone, the speed of movement and the time of transfer between two points or tasks. 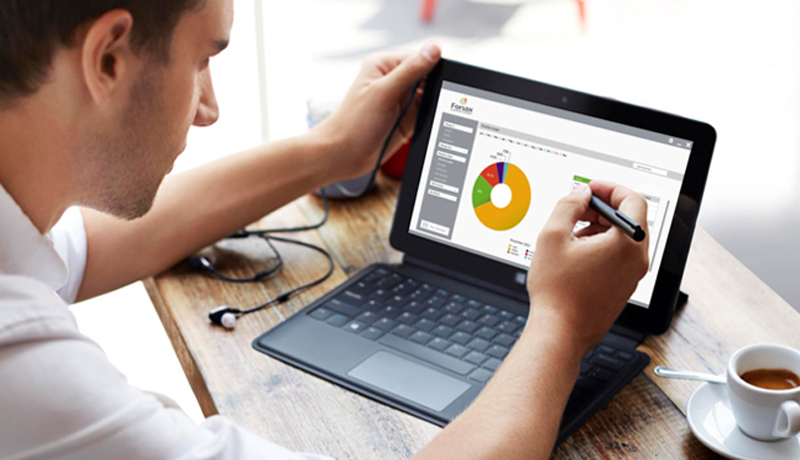 It works anywhere: Control Center Room, PC, Tablet or Cellphone. 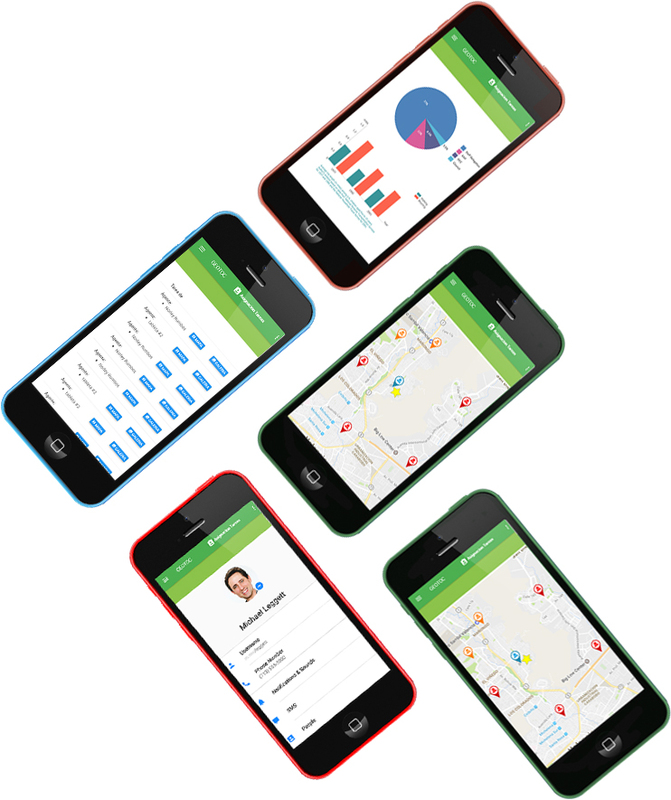 It is the module where you can access various reports such as task status, task compliance effectiveness report, location reports for time laps, etc. It is the module that allows you to configure several alerts, such as an alert when an Industrial Variable of Control is out of range, or an Industrial Process is not under Control, a Service Team has not acomplish the goals in the allowed frametime, or an agent is not in the indicated zone in the expected time, alert of non-mobility of the agent, alert of tasks fulfilled or not, warning of movement at lower speed or Greater than allowed, etc. Management of non-geo localized agents for pre-defined Points of Control. 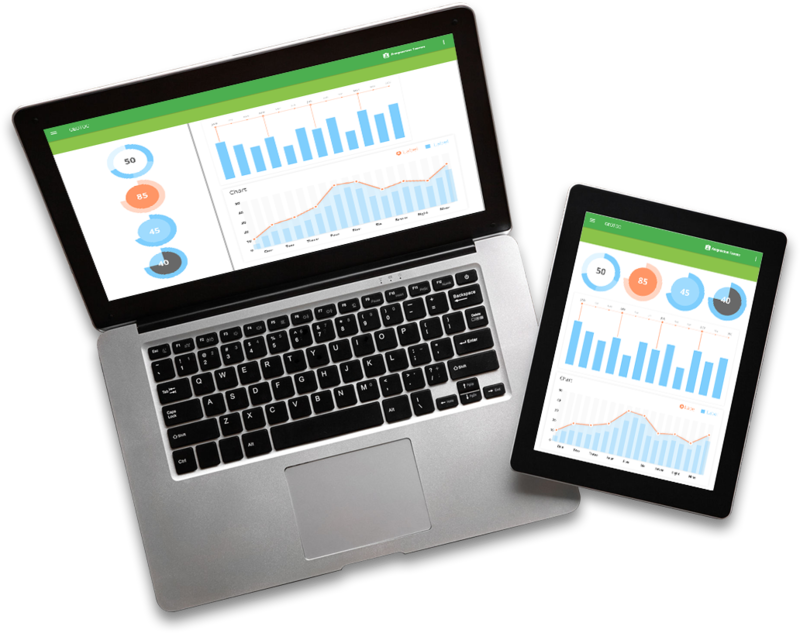 This Powerfull module, allow us to see in graphics, sheets or digits, in real time all the information that is beeing collected at that precisely moment. 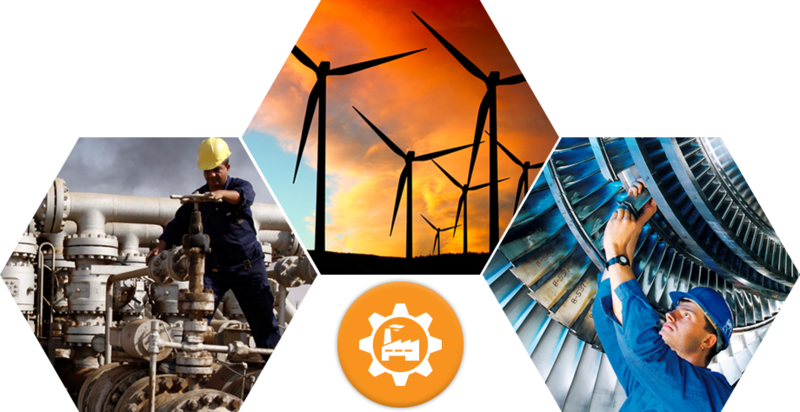 It can be an Agent with a Geo Located Device, a Team from certified point of control, or simply a Data, collected from an Energy, Manufacturing , Industrial or any kind of Process. 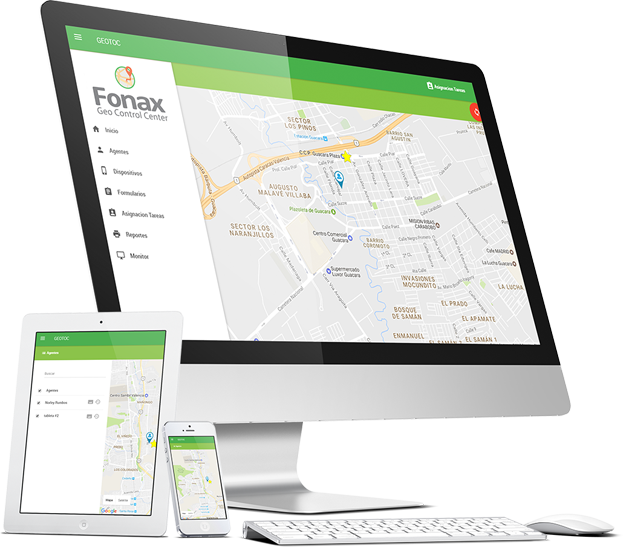 Fonax Control Center Administers, Monitors & Controls, Industrial and Corporate Variables, Vehicles, People, Tasks, Jobs or any necessity in Real Time and Geo Localized. Government Institutions or Corporate where they need to control management in the field. Industrial Processes that need to be visualized in Real Time anywhere. Government Institutions or Corporate where they need to control reception and delivery of products. Sales force or Technical control in field.